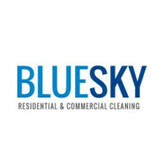 Blue Sky Cleaning of New York, Inc.
My name is Michael Shain, and I am an Indoor Air Quality Environmentalist. My passion is to see that every patient who suffers from asthma, allergies and other pulmonary issues understand that medication alone should not be their only option. Identifying the triggers and assessing their indoor air quality should be part of their treatment plan. 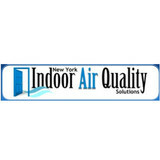 I started NY Indoor Air Quality Solutions after a few of my home inspection clients asked me to inspect and test their homes for air quality issues. They all had children with asthma or severe allergies and some suffered from repeated sinus infections. In many cases we were able to identify issues in their homes which contributed to the triggers that cause the onset of an asthma attack and other chronic respiratory illnesses. After our recommendations and remediation were completed we found many of the patients were able to substantially reduce the medication they depended on. Since the results were so convincing, I decided to research and educate myself on the topic of Indoor Air Quality (IAQ) and substantiate if there was a link to the increase in severity and prevalence of Asthma. The one major glaring issue that stood out was the increase in childhood respiratory illnesses over the past 30 years. Asthma afflicts about 20 million Americans, including 6.3 million children. Since 1980, the biggest growth in asthma cases has been in children under five. In 2000 there were nearly 2 million emergency room visits and nearly half a million hospitalizations due to asthma, at a cost of almost $2 billion resulting in 14 million school days missed each year. 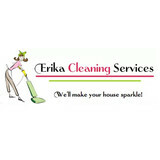 Erika Cleaning Services has been serving the Westchester community since 2000. We clean houses and apartments. 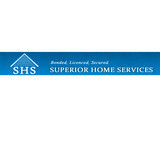 We do a one time, deep clean, weekly, bi-weekly, monthly, move in/move out, organization and after any event cleaning. Free estimates. Get in touch with us! Watertown Cleaning provides high quality commercial and residential carpet cleaning, VCT tile floor strippingre coating and commercial and residential cleaning services. Our equipment is the best in the industry. We also provide emergency water removal services. We service Connecticut and New York towns and cities. Your FREE in home consultation gives you the power to control how we help you. Our trained professionals provide personalized walk trough’s to gain a better understanding of your home. 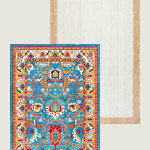 We discuss every detail of what you need and put in customized work orders for you. So your needs are always kept in mind. No one knows what you need better than you. 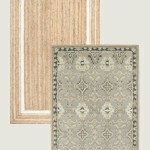 You will work with the owner of Refined Cleaning Magic for room by room personalization. We clean for any occasion. 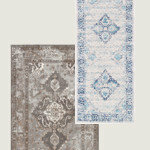 Have your home cleaned for a special occasion or on a regular basis. It's up to you, weekly, bi-weekly, or monthly cleanings. Preparing for the holidays? We can take care of the cleanings for you before and after the holiday. We also offer one time deep cleanings and post construction cleanings. MJ Spotless Cleaning Services, LLC, proudly serves its customers with pride, integrity and attention to the details that matter most to you. This is one of the many things that sets us apart from the rest. We are locally owned and operated. Give us a call today! Here are CP Cleaning Services we've provided professional cleaning services throughout Westchester county since 2010. We specialize in residential cleaning services - we clean houses and apartments of all sizes with affordable pricing but we also offer commercial cleaning services and can help with office, window and post construction deep cleanings. Our cleaning services cover a wide range of tasks to free up your time so you can concentrate on the important things in life - family, friends, career and hobbies. Whether you need daily, weekly or monthly residential or commercial cleaning, be sure to consult H Ruby's Cleaning Inc. We strive to provide a superior level of maid service and to be flexible and understanding of the unique needs of our customers. Our personal touch and superior customer care come second to none and have earned us the reputation of a first class, dependable cleaning service company. Our core advantage is the ability to recruit and hire the most reliable and qualified cleaners who are committed to attaining complete customer satisfaction. We are a customer oriented company that aims to set the standards of excellence for cleaning service. Quality of service is our state of mind. We are fully insured and bonded and can provide excellent references upon request. Margo Maids Natural Cleaning, Inc has a single mission, which is to achieve complete customer satisfaction! 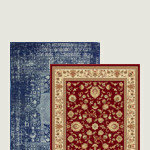 We strongly believe in giving our customers the most for their money. We work with only the highest quality materials and experienced professionals. Our combination of service and price is hard to beat. With over 22 years of experience, we have consistently focused on the needs of our customers, providing personalized attention and a stress free experience. This approach has set us apart from our competition and keep our customers coming back! We never let our clients down because deep cleaning is our specialty. You won't find better value in maid service anywhere else. Feel free to ask any questions about our housekeeping services because we have the answers you’re looking for. When you choose Margo Maids Natural Cleaning, Inc, you always get the best deal possible. You won't find a better cleaning company in Brewster, NY. Give us a call today! The goal of Steamatic of Connecticut is to provide a healthy indoor environment for our customers by removing many of the contaminants that live in structures, irritants that trigger allergic reactions, respiratory distress, household odors, and of course, dirt and germs. Steamatic of Connecticut provides a full range of services to keep your home at its healthiest. Call on us for: Water Damage Restoration, Fire Damage Restoration, Mold Removal, Air Duct Cleaning, Air Purifiers and Crawl Space Liners.